Down Royal Park Golf Course is widely recognised as one of the driest golf courses in Northern Ireland with the most natural layout making it playable all year round. 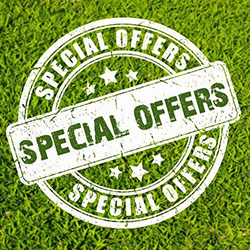 The entire golf complex is open to the public welcoming visitors and societies seven days a week, with competitively priced green fees and superb golf and food combo offers. 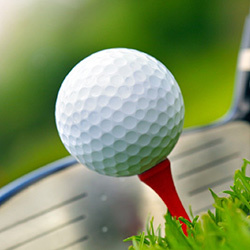 The golf facilities at Down Royal Park Golf Course include an 18 Hole Classic Course, 9 Hole Valley Course and Driving Range. Visitors can also avail of coaching through the Down Royal Golf Academy with junior and adult lessons. Golfers and visitors can also enjoy delicious, locally sourced food and refreshments in the Bar Bistro situated at the complex. Food is served Tuesday – Sunday. Additional information and menus are available at www.barbistrodownroyal.com. 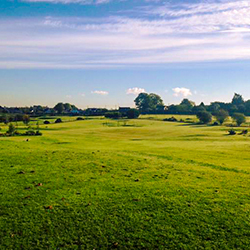 Down Royal Park Golf Course offers a uniquely challenging heath land golfing experience with strategically placed hazards and well groomed fairways. The combination of sandy soils and high water table ensure the course enjoys an excellent year round mix of water features and fairways. The course is complete with avenues of gorse and bracken along with the sounds of galloping racehourses given the desirable location of the complex which is encircled by the prestigious Down Royal Racecourse and bound by the River Lagan to the North. You can locate Down Royal Park Golf Course 11 miles south of Belfast and easily accessible from the M1 and A1. For enquiries or bookings, please avail of our 18 and 9 hole online tee time booking system. Alternatively contact a member of staff on 028 9262 1339 or email info@downroyalgolf.com. We look forward to welcoming you to Down Royal Park Golf Course.